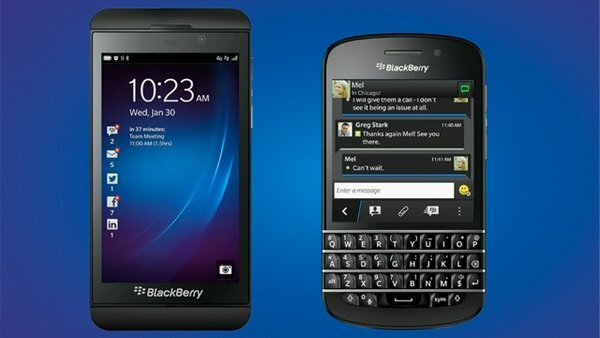 The company formerly known as RIM finally launched their last-ditch effort to remain relevant in the mobile industry by announcing the Blackberry Z10 & Q10 - the first devices to be based on the long-delayed Blackberry 10 operating system. The company even changed its name to "Blackberry" to drive home their focus. Unfortunately, these moves seem to be "too little, too late". Let's take a look at why that is the case. Blackberry seems to be making the same mistakes that have plagued Nokia under Stephen Elop. The pricing of the Blackberry Z10 & Q10 "flagship" devices seem to be squarely aimed at developed markets. The fact that less than 40% of Blackberry's Q3 revenue came from the US, UK & Canada clearly shows that emerging markets have kept them afloat so far. The pricing of BB10 devices will severely limit emerging market demand, while lower cost competitors continue to gain steam and move up-market. Blackberry's marketing focus clearly hints that their moves with BB10 are defensive in nature. Their goal seems to be to sell BB10 devices to existing Blackberry users to ensure that their subscriber base does not continue to decline. Given the state of the Blackberry subscriber base in the US, the price points & market focus make even less sense. Switching existing enterprise users over to BB10 will not save the company, and even that seems to be a long shot. As flawed as Nokia's Lumia strategy was, at least their marketing strategy seemed to target users of competing platforms. While a few Blackberry 10 features may appeal to certain consumer segments, they are unlikely to abandon their current ecosystems for BB10's relatively sparse platform. At the end of the day, much like Windows Phone, all new BB10 features are incremental improvements - an outcome of "playing catch-up" with Android and iOS. It is very difficult to "out-innovate" established platforms when you find yourself so far behind. Blackberry needed a truly disruptive platform to grab consumer attention and Blackberry 10 is not it. While there may be some pent-up demand for BB10 devices at launch, I don't expect consumer interest to last. I expect BB10 sales to fail to match even Nokia's Lumia portfolio. Blackberry's goal was to use a successful launch to drum up OEM interest in licensing the BB10 platform, but a break-up sale may be a more likely outcome. since it looks like you did little research on your own. the developing markets when prices come down on the parts to make the phone. think that you were saying this when the iphone 5 came out. byod. Once again no research was done. In closing, do a little bit of research before bashing the new line of phones. Clearly, this post seems to have offended a lot of BB fans. Of course, if you had read the post instead of skimmed the headlines, you would have noticed what I was talking about. 1. Pricing - The fact that BB10 is being released for developed markets first is in itself a cause for concern because that's where the brand has taken the biggest beating. Emerging markets have seen BB's position begin to slip, but the brand still carries some weight there. This isn't the case with the iPhone or Samsung. Note that I called out Nokia for making the same mistake as well. That didn't turn out great either. 2.You might want to see the BYOD vs. corporate buying trend, and the market share trends within the BYOD market. The iPhone is dominant in that market, with Android right behind. Blackberry is a distant third. Again, BB as a consumer brand has taken a beating. What's done is done. To recover, you need to target markets where that hasn't yet occurred. 3. BB10 is another smartphone OS - meaning it incorporates incremental improvements. This isn't a disruptive innovation - and if you make changes this late, that's what's needed. You may want to look that up. When I mean disruptive innovation, I mean innovations like wearable technology. iOS was disruptive to existing smartphones in 2007, tablets are disruptive to PCs today. Nice to see that once again, you arn't doing research, just bashing BlackBerry. For you first point. You say that the pricing will limit people buying it. What is the price for BB Z10 in the US? It has not been released yet, so nice try. Price is also determined by the carrier. That is like saying that iPhone was not going to do well because it has a $649 price tag. Most major phones get released to the major markets, US, Canada, and UK first and at a later date the rest of the markets. All phone compines do this. I dare you to find one that had a world release on the same month, let alone day. Point two, you are saying that switching to BBEnterpise 10 will not save any money. It works with all major phone OS's out of the box. It will save time on the IT department, and time is money. And point three, find me a phone that really rocks the boat tech wise. There isn't one. Once again, by using your logic, iPhone 5 should have done poorly because it had no new tech. So once again, you did no research and jsut went out and bashed BlackBerry. Nokia not targeting the developing market? What do you call the Nokia Lumia 620 which is selling for $250 unsubsidized? How long did it take them to launch that device? Where were the early devices targeted? I'm talking about the launch strategy for the brand. Also, most of the growth is from sub $200 smartphones and Nokia still doesn't have an offering there. The Asha is just a temporary bump, as usage data has shown.